A growing demand for customization options for bikes comes as no surprise, after all they are one of the main forms of transpiration on the Island. 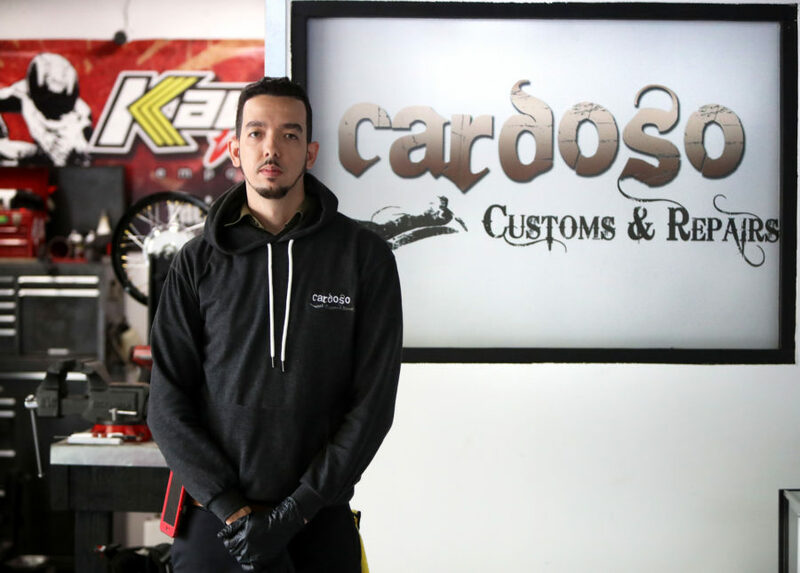 Which is why young entrepreneur, Nicholas Cardoso decided to pursue his passion and open Cardoso’s Customs & Repairs last May after spending years working part-time customizing and repairing bikes. The shop is located at 10 Bakery Lane in Pembroke, and it offers parts, basic servicing, repairs, as well as customization jobs. 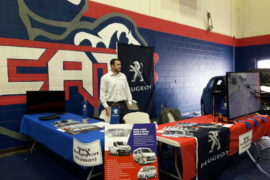 It all started in 2011, after graduating from the Motorcycle Mechanic Institute in Florida. He said: “when I came back to island, I was getting really frustrated when working on people’s bikes because I couldn’t find parts, so I looked into bringing them in and found some people online. One thing led to another and I was doing really big bulk orders, then moved to accessories and performance parts. It all just trickled down and I became the authorized distributor for a company in Indonesia called Kawahara, after that, word got around in their country and other companies started contacting me”. Today, Cardoso is the authorized distributor on the island for around 7 different companies through South East Asia and some in the United States. 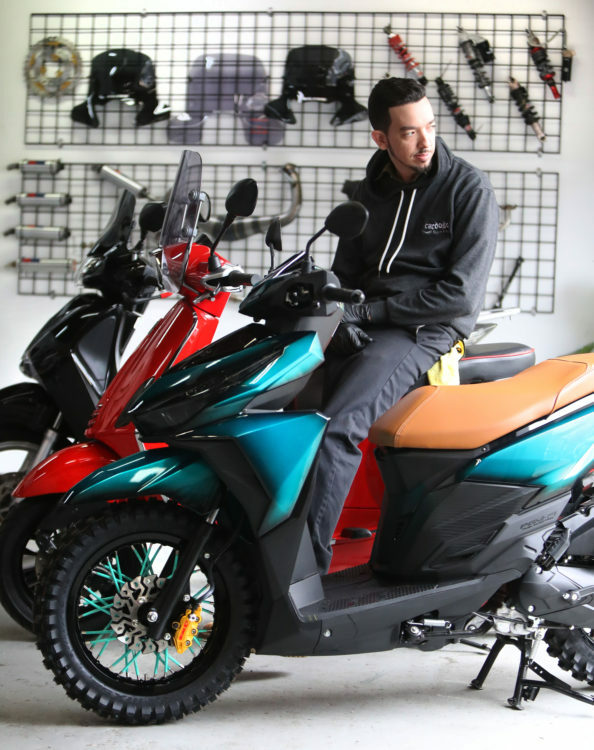 On a busy day, the shop can see a rotation of up to 20 bikes, usually in need of basic servicing and repairs, however, they have gained recognition island wide for their customization projects. Since it’s opening, the shop has customized six bikes, from basic paint jobs, to intricate designs with special made or customized parts. “If they can dream it, we want to make it a reality. We customize all aspects of the bikes, performance tuning, visual aspects and anything else they can think of”, he said. 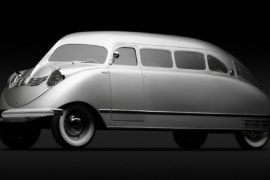 Cardoso collaborates with other artists to bring a clients’ vision to life and deliver a one of a kind product. On average, how much do clients spend on customization? “It can range, depending on what the customer wants, the cheapest one I’ve done in total, including parts and labour was about 1,100, the most expensive one probably pushing close to 10,000”. How long does it take to complete a custom bike? “For a basic customization job, around one or two weeks, and that’s stripping the whole bike down, painting, accessories and parts. For more complicated projects, I’d say around two months. My longest one so far took me about two years, I built that bike from the frame up, that one was a really unique one”. What is the biggest job you’ve completed so far? “This one that I’m currently working on, this gentleman owns an excavating company and I thought it would be a cool idea to do an off road looking scooter. I put off rode tires on it, motocross rims and wheels, a custom-made muffler, there’s actually two in the world, I have the other one, as well as custom made engine parts, this has been the biggest one so far for sure”. “A handful of things, I don’t put performance parts for the everyday rider, unless I know they’re racing on the track, I’ll work with them to build a bike for the track use. I also don’t do any customization on anyone’s bike that’s under the age of eighteen, they need to bring a parent or a guardian to sign off on the work first”. “There’s really all types, but mainly my main costumers are people who have more than one bike and know and appreciate what goes into working on it, but anywhere from your average 16-year-old to life-long bike fans, my oldest regular costumer is in his mid-70s”. What is your ultimate goal with the shop? 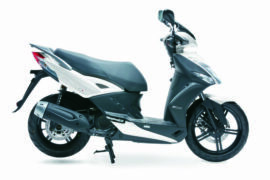 “To be a one-stop bike shop, anything from parts, accessories, paint, upholstery, graphics, and anything in between. Just bring your bike, tell me what you want and everything gets done in house. By biggest motivation is West Coast Customs, they’re actually part of “Pimp My Ride”, I watched every episode maybe two or three times, brainstorming ideas to incorporate what they are doing into bikes”. 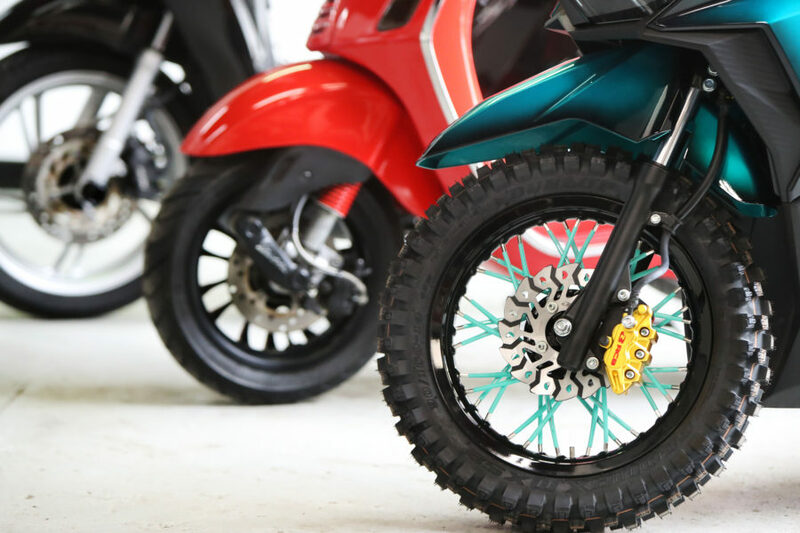 With a growing reputation, an emphasis in good customer service and offering online shopping as well, Cardoso’s Customs & Repairs is quickly becoming the go-to spot for bike enthusiasts around the island. Working with all types of budgets and ideas, no project is too big or too small. From audio and LED light systems that can be controlled by phone, performance parts, phone chargers, paint jobs, and anything in between the options to “pimp” your bike seem endless. For more information contact Cardoso Customs & Repairs on 538-5389 or visit their Instagram or website.